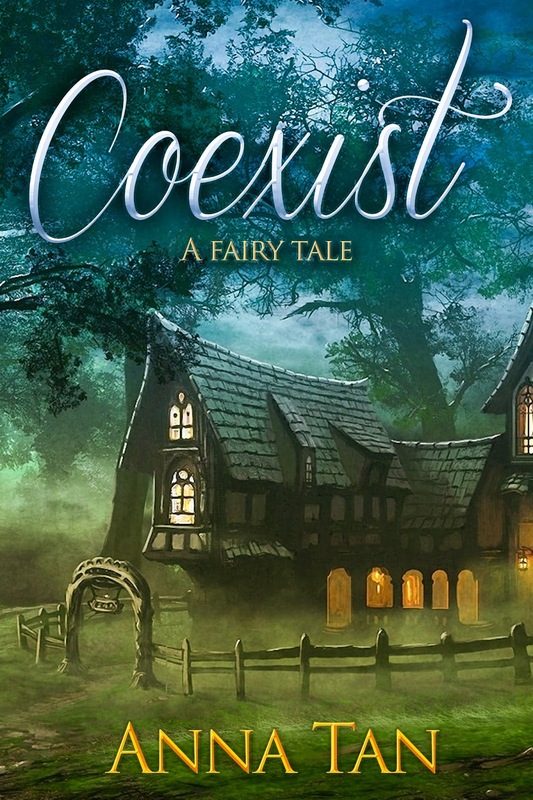 So, if you wanna grab a copy of Coexist, you can do that HERE! 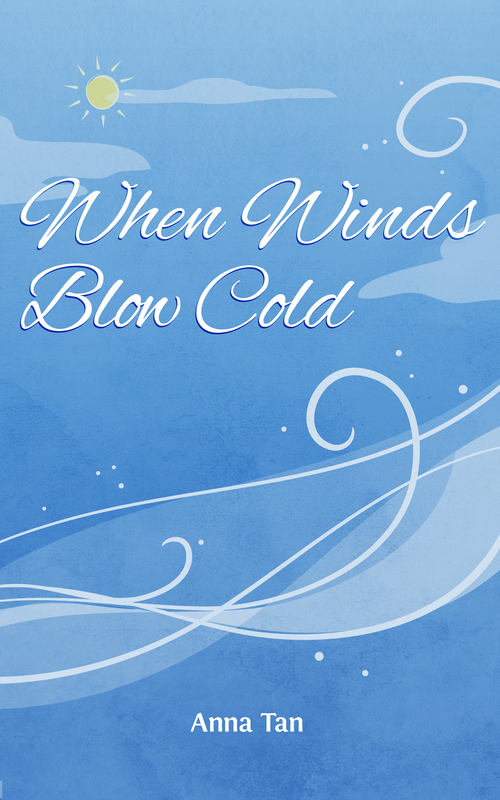 When Winds Blow Cold is always free as a download on NOISETRADE or if you sign up for my mailing list. Now go drop by the other author's sites to get more free books! Her gaze followed the twist of the wrist, the dip of the arm, all the way up to the open smile on his face and the crinkling around his eyes. She didn't see why not. After all, no one else had asked. - the music stills at inopportune moments, leaving them wide-eyed, wondering what to do with awkward limbs and uncaught breaths. She found herself at the edge of the dance floor again, perching on the edge of her chair, watching him wistfully. He wasn't exclusive, of course. 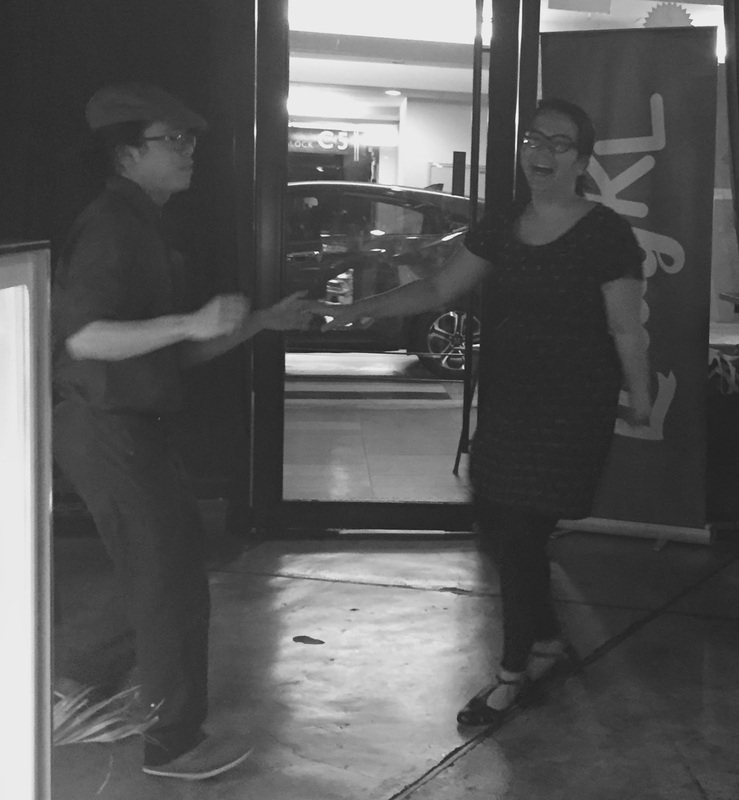 He danced with everyone as long as they agreed, while being just so darned polite about it. He tipped his hat towards her as he passed by, acknowledging her existence. If you noticed (or not), I've created a new page called STORE. This is basically an Amazon affiliate store front where I'm linking books I've reviewed with 4 & 5 stars. So, you know, you can go browse books that I like! Haha. When Dr Alex Liang performs an emergency procedure on an aircraft, all he hoped for was for the man to survive and for him not to be sued for any unintended consequences. What he did not expect was to strike up a friendship with Eric Shi, owner of Shi Corporation, and end up working with him to realise a long-term dream of his. However, industrial espionage and personal tragedy soon follow, tearing them apart. When Eric's wife's lung cancer worsens, Eric must decide if he can let go of his hurts and trust Alex again... whilst Alex races against time to find a cure for a woman he has come to admire and love. I have to admit that I was initially a little biased against it - in my experience, people who publish through Partridge are often somewhat delusional about their writing abilities or just incredibly naive about publishing. D.R. Kin falls in the latter category, I suppose. I found Regenesis to be a compelling story - I picked it up to while away the time on a flight and was pleasantly surprised at how fast I was going through it. Kin moves you through the multiple plots with ease, always teasing you with something more, something happening. He also manages to tie up most of his loose ends, which brings me to my main gripe about Regenesis as a whole: it could have been better. It could have been structured better. It could have been edited better. As it is, it reads a bit like a gem in the rough - Kin is a good storyteller so it's polished enough to glint a little, but not enough to really shine. Note: I received a free copy of this book for review from the author. Welcome to The Scorched Souls Tour! Welcome to another exciting Spotlight Tour with Novel Publicity. Today, I’m sharing the spotlight for Scorched Souls, the final story in the Chosen Trilogy by Jeff Altabef and Erynn Altabef. Don't forget to enter for your chance to win some great prizes including an Amazon Gift Card, a Paperback of Scorched Souls and a dream catcher! Still, my father’s logic is undeniable. “So?” Why does he care? If pure evil exists in this universe, it’s sitting next to me, and I am this monster’s son. What does that make me? I glance at the hologram of Earth above me. It’s a beautiful planet. He’s sentenced billions of humans to die, but can I carry out the punishment? Fate and destiny clash in the explosive, heart-pounding conclusion to the award-winning Chosen series. My name is Juliet Wildfire Stone and I’m not just a Chosen, I’m the Alpha… and the fate of Earth rests in my hands. When I finally met the Prime Elector, he wasn’t anything like I expected. He was supposed to be our mortal enemy, a monster I needed to destroy to fulfill my destiny, yet he was nothing like that—he’s young, brilliant, and looks like an angel. Caught in the middle of a conflict between two ancient foes, which threatens to rip Earth apart, I must do what is right at all costs. To choose my fate, and Earth’s future, I will need to navigate a new path, form unlikely alliances, and solve ancient mysteries forgotten for centuries. Yet I cannot do it alone. Will the other Chosen follow me? Do I have the strength to make the right choice, or will the people of Earth be enslaved for all time? The story bounces around between three POVs: Juliet, Connor and Barrett. - Juliet seems to have gotten over her trust issues - by seemingly following her gut and trusting too much. Or maybe not. - Connor's trapped in a loop of trying to better himself, because he's crazily in love with Juliet. And then drinking himself crazy because he's disappointed in love. Which seems totally immature until I'm reminded that he's not even 18, and an orphan with issues and a difficult past. - With Barrett, you finally get a glimpse into who the Alphians are - and how they're not all as bad as they're made out to be. Of all the characters in this book, Sicheii would probably be my favourite, even if he isn't alive at this stage - just because he is this mystical, wise guy who spouts philosophical nonsense and annoys the heck out of Juliet. And makes random appearances throughout the book. While dead. There are deeper themes hidden throughout - distribution of wealth, the perfect society/world (does Utopia exist? ), sacrifice, true love, responsibility, trust, wise choices, logic vs emotions, the greater good, addiction, privilege. Weighty themes, no doubt, but not out of place or too difficult to comprehend. I'd recommend it for the younger end of young adult readers (mostly because the juvenile love side plot got a bit tiring) but it makes up for it with a well-thought out ending. Note: I received a free ARC from the author in exchange for an honest review. Jeff Altabef is an award-winning author who lives in New York with his wife, two daughters, and Charlie the dog. He spends time volunteering at the writing center in the local community college. After years of being accused of “telling stories,” he thought he would make it official. He writes in both the thriller and young adult genres. Jeff is very happy and proud that his co-author for the Chosen Series is his teenaged daughter, Erynn Altabef. Wind Catcher, the first in the Chosen Series, has won the 2015 Readers’ Favorite Gold Medal for Coming of Age Novels, the 2015 Beverly Hills Book Award for Best YA Fiction and a Mom’s Choice Award. As an avid Knicks fan, Jeff is prone to long periods of melancholy during hoops season. Jeff has a column on The Examiner focused on writing and a blog designed to encourage writing by those who like telling stories. Connect with Jeff on his website, Facebook, Twitter, Newsletter. Erynn Altabef is an avid reader, dancer, and community activist. Some of her favorite authors are Veronica Roth, Joelle Charbonneau, and her dad! (That would be Jeff Altabef.) She just started her freshman year at Connecticut College is proud to be a camel!!! Connect with Erynn on Facebook. Living in a world of foodies, it’s hard to imagine the world you’re thrust into in The Blind Pig. Angela Anselm, an investigative journalist, is a firm advocate of the NArc (Nutritional Architecture System). The system, which dispenses artificial food according to your body’s daily needs, has succeeded in eliminating disease and increasing lifespans. The crisis that had resulted in large lines of Americans lining up at clinics waiting to be treated has finally been resolved - even if it was at the cost of taste, texture, variety, and free will. Diabetes, cancer and obesity are all things of the past. When a follower of her struggling nutrition column is found dead of “Cheating”, Angela takes up Lieutenant Potente’s challenge to break into the illegal Cheating/Foodie - world and bring them to justice. Except, what she finds is the opposite of what she expected. The Blind Pig is a science-fiction novel that invites you to slow down and savour the world that you live in. Whilst the myth of long life and no illnesses is one that sounds inviting at first, the more you learn about it, the more questions arise. Is genetically engineered food good? Are there any other side effects? Would you give up the real thing for a substitute grown in labs that doesn’t taste as good just for the health benefits? The novel isn’t a quick read. It’s evenly - if a bit slowly - paced. There’s no risky shoot-outs or a lot of running and hiding from the cops. Instead, it’s a steady build-up of risk and trust from Angela’s first exposure to the Foodies, her first Real Meal, her column that’s agitating the system and the overwhelming pressure to choose a side. Angela tries to be balanced. NArc, for all its faults, has benefited mankind tremendously. But at what cost? On the other hand, real natural (but now illegal) food, if prepared right, has all the nutrition that mankind needs. But is it safe? Living in a food paradise that’s all about taste, I know which way I’d vote. I was planning to do a full review of Smiling Exercises, and then I realised it would be a really short post! This is a very fun, very short read. Even if you don't like any of the stories (and there were some which made me go, uhhh, what?) they're all flash fiction so it ends pretty quickly and then you can head on to the next one. I'm not quite familiar with Japanese mythology (despite using some in my writing) so this was quite an interesting read. As a whole, I preferred Part I: Young Adult/Adventure Tales, which really shows you what my reading style/preference is like. Of these, I liked Kitsune by Heather Jensen the best, though Kelly Matsuura's tale of magic, ninjas, and love in Moon Shadow is a close second. The stories turn a little darker in Part II: Adult/Literary tales. Restoration by Chris Ward was beautifully haunting - and is probably the only one worth mentioning in this second half. The stories are well-written, but just not to my taste. As a whole, I think I preferred Insignia: Japanese Fantasy Stories to this one. It felt as if there hadn't been enough submissions for this, so Kelly and Joyce ended up writing multiple stories to bulk it out. Set in an alternate Singapore which has dragons and phoenixes and foxes, Looking for Trouble (Joyce Chng) was probably the most to my taste in Part I. The Great Qilin (Kelly Matsuura) wasn't half bad as well - though it feels a little like a prelude to something else. The most impressive from Part II is Black Smoke and Water Lilies by David Jon Fuller. The timeline jumps around a little in this - I had to read the beginning carefully a few times before I really got into it, but it plays out really well. This was definitely my favourite of the three. Part I: Adventure/Folktales began with the impressive Horse Feet by Celestine Trinidad. I loved the Filipino flavour to this - and of course, a new mystical creature (at least to me) is something I cannot dislike. Melvin Yong's The Island was a creepier than I would like, but extremely absorbing. Part I bulked out most of this anthology - which isn't a bad thing in my opinion. I'm just not a big fan of Part II: Adult/Literary Tales, I guess. The most I'll say about this was Never Seen (Kelly Matsuura) was pretty okay. Everything else was just dark and grim and scary. This time last year (or thereabouts) I was working on a top 25 for the 215 District. I don't know if it was ever used. I'm sorry, I kind of dropped the ball on this one. It's been a crazy past two weeks - but here's the review! Even if it's slightly delayed. This is a heavy, weighty book - and yet utterly fascinating. "Birth of a Dream Weaver charts the very beginnings of a writer’s creative output. In this wonderful memoir, Kenyan writer Ngugi wa Thiong’o recounts the four years he spent in Makerere University in Kampala, Uganda—threshold years where he found his voice as a playwright, journalist, and novelist, just as Uganda, Kenya, Congo, and other countries were in the final throes of their independence struggles." Which seems simple enough, but is not. As a writer, it's fascinating to discover how the events of the nation affects Ngugi's growth as a writer - both directly, in terms of what he feels led to write about, and indirectly, in the rules, restrictions and opportunities given him to write and present his work. Even if you're not a writer, Birth of a Dream Weaver would be a valuable read for those interested in politics, race relations and history. Note: I received an e-arc of this book via Edelweiss in exchange for an honest review. Birth of a Dream Weaver just launched on Oct 4!